Back in 2005 I joined my first job, in a software company in Bangalore. It was a backend of a big foreign bank. We trained heavily on different parts of software development during the first few months. At the same time, I had an altercation with the senior manager (about some Java code) who was in charge of the new joinees and their placement within the company. The result? Everyone else got a team but me, and I had to roam around within the office to find an empty seat and wait there till the actual seat owner came back. I managed to spend a lot of days in the cafeteria on the rooftop. But, then they made new rules that one can not sit there either, other than at lunch time. So, I went asking around, talking to all the different people in the office (there were 500+ folks iirc) if they know any team who would take on a fresher. I tried to throw in words like Linux, open source to better my chances. And then one day, I heard that the research and development team was looking for someone with Linux and PHP skills. I went in to have a chat with the team, and they told me the problem (it was actually on DSpace, a Java based documentation/content repository system), and after looking at my resume decided to give me a desktop for couple of weeks. I managed to solve the problem in next few days, and after a week or so, I was told that I will join the team. There were couple of super senior managers and I was the only kid on that block. Being part of this team allowed me to explore different technologies and programming languages. I will later write down my experiences in more detail, but for today, I want to focus on one particular incident. The kind of incident, which all system administrators experience at least once in their life (I guess). I got root access to the production server of the DSpace installation within a few weeks. I had a Windows desktop, and used putty to ssh in to the server. As this company was backend of the big bank, except for a few senior managers, no one else had access to Internet on their systems. There were 2 desktops in the kiosk in the ground floor, and one had to stand in a long queue to get a chance to access Internet. One day I came back from the lunch (a good one), and was feeling a bit sleepy. I had taken down the tomcat server, pushed the changes to the application, and then wanted to start the server up again. Typed the whole path to startup.sh (I don’t remember the actual name, I’m just guessing it was startup.sh) and hit Enter. I was waiting for the long screens of messages this startup script spewed as it started up, but instead, I got back the prompt quickly. I was wondering what went wrong. Then, looking at the monitor very closely, I suddenly realised that I was planning to delete some other file and I had written rm at the beginning of the command prompt, forgotten it, and then typed the path of the startup.sh. Suddenly I felt the place get very hot and stuffy; I started sweating and all blood drained from my face in the next few moments. I was at panic level 9. I was wondering what to do. I thought about the next steps to follow. I still had a small window of time to fix the service. Suddenly I realized that I can get a copy of the script from the Internet (yay, Open Source!). So, I picked up a pad and a pen, ran down to the ground floor, and stood in the queue to get access to a computer with Internet. After getting the seat, I started writing down the whole startup.sh on the pad and double checked it. Ran right back up to my cubicle, feverishly typed in the script, (somehow miraculously without any typo in one go.) 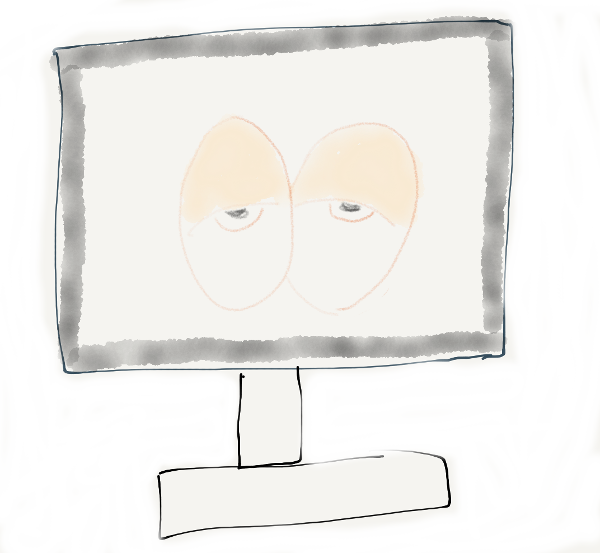 As I executed the script, I saw the familiar output, messages scrolling up, screen after joyful screen. And finally as it started up, I sighed a huge sigh of relief. And after the adrenalin levels came down, I wrote an incident report to my management, and later talked about it during a meeting. Last year, I made sure that I spend more time in writing, mostly by waking up early before anyone else in the house. The total number of posts was 60, but, that number came down to 32 in 2018. The number of page views were though 88% of 2017. I managed to wake up early in most of the days, but, I spent that time in reading and experimenting with various tools/projects. SecureDrop, Tor Project, Qubes OS were in top of that list. I am also spending more time with books, though now the big problem is to find space at home to keep those books properly. I never wrote regularly through out the year. If you see the dates I published, you will find that sometimes I managed to publish regularly for a month and then again vanished for sometime. There was a whole paragraph here about why I did not write and vanish, but, then I deleted the paragraph before posting. You can read the last year’s post on the same topic here. In my last blog post, I wrote about Flatpak applications on Qubes OS AppVMs. Later, Alexander Larsson pointed out that running the actual application from the command line is still not user friendly, and Flatpak already solved it by providing proper desktop files for each of the application installed by Flatpak. Flatpak is a system for building, distributing, and running sandboxed desktop applications on Linux. It uses BubbleWrap in the low level to do the actual sandboxing. In simple terms, you can think Flatpak as a as a very simple and easy way to use desktop applications in containers (sandboxing). Yes, containers, and, yes, it is for desktop applications in Linux. 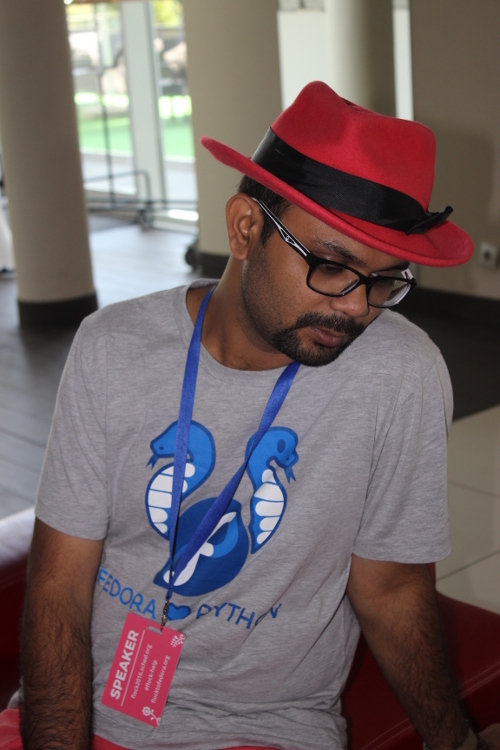 I was looking forward to use hexchat-otr in Fedora, but, it is not packaged in Fedora. That is what made me setup an AppVM for the same using flatpak. I have installed the flatpak package in my Fedora 29 TemplateVM. I am going to use that to install Hexchat in an AppVM named irc. The first task is to add flathub as a remote for flatpak. This is a store where upstream developers package their application and publish. And then, I installed the Hexchat from the store. I also installed the version of the OTR plugin required. All of the related files are now available under /var/lib/flatpak. But, as this is an AppVM, this will get destroyed when I will reboot. So, I had to make sure that I can keep those between reboots. We can use the Qubes bind-dirs for this in the TemplateVMs, but, as this is particular for this VM, I just chose to use simple shell commands in the /rw/config/rc.local file (make sure that the file is executable). But, first, I moved the flatpak directory under /home. Then, I added the following 3 lines in the /rw/config/rc.local file. This will make sure that the flatpak command will find the right files even after reboot. Running the application is now as easy as the following command. For the last couple of months, the SecureDrop team is working on a new set of applications + system for the journalists, which are based on Qubes OS, and desktop application written particularly for Qubes. A major portion of the work is on the Qubes OS part, where we are setting up the right templateVMs and AppVMs on top of those templateVMs, setting up the qrexec services and right configuration to allow/deny services as required. 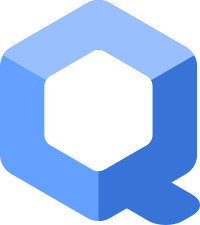 The other major work was to develop a proxy service (on top of Qubes qrexec service) which will allow our desktop application (written in PyQt) to talk to a SecureDrop server. This part finally gets into two different Debian packages. The legacy way of building SecureDrop server side has many steps and also installs wheels into the main Python site-packages. Which is something we plan to remove in future. While discussing about this during PyCon this year, Donald Stufft suggested to use dh-virtualenv. It allows to package a virtualenv for the application along with the actual application code into a Debian pacakge. We use pipenv for the development of the projects. pipenv lock -r can create a requirements.txt, but, it does not content any sha256sums. We also wanted to make sure that doing these steps become much easier. 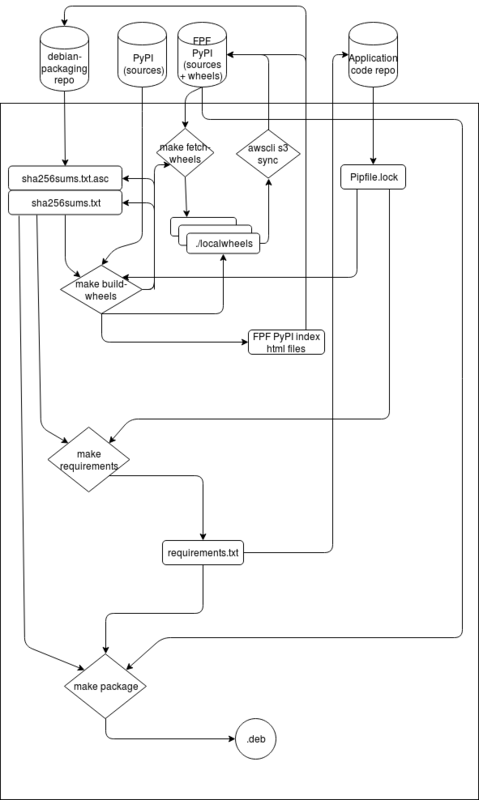 We have added a makefile target in our new packaging repo, which will first create the standard requirements.txt and then it will try to find the corresponding binary wheel sha256sums from a list of wheels+sha256sums, and before anything else, it verifies the list (signed with developers’ gpg keys). If it finds any missing wheels (say new dependency or updated package version), it informs the developer, the developer then can use another makefile target to build the new wheels, the new wheels+sources do get synced to our simple index hosted on s3. The hashes of the wheels+sources also get signed and committed into the repository. Then, the developer retries to create the requirements.txt for the project. We also have makefile targets to build the Debian package. It actually creates a directory structure (only in parts) like rpmbuild does in home directory, and then copies over the source tarball, untars, copies the debian directory from the packaging repository, and then reverifies each hashes in the project requirements file with the current signed (and also verified) list of hashes. If everything looks good, then it goes to build the final Debian package. This happens by the following environment variable exported in the above mention script. Our debian/rules files make sure that we use our own packaging index for building the Debian package. For example, the following command will build the package securedrop-proxy version 0.0.1. The following image describes the whole process. We would love to get your feedback and any suggestions to improve the whole process. Feel free to comment in this post, or by creating issues in the corresponding Github project. Have you ever wondered how the device lock icon colors come in the device applet of Qubes OS? I saw those everyday, but, never bothered to think much. The guess was the VM where the devices are attached (because those names are there in the list). Yesterday, I was asked for a proper answer by Nina, I decided to confirm the idea I had in my mind. The way I am learning about internals of Qubes OS, is by reading the source code of the tools/services (I do ask questions to developers on IRC too). As most of the tools are wriiten in Python, it is super easy to read and follow. The code base is also very to read+understand. In this case, the USB devices get the color from the label of sys-usb VM. This is the special VM to which all of the USB devices get attached by default and label is the color attached to the VM (window decoration and other places). The PCI devices get the color of dom0, thus black by default. Let me introduce rpm-macros-virtualenv 0.0.1 to you all. This is a small set of RPM macros, which can be used by the spec files to build and package any Python application along with a virtualenv. Thus, removing the need of installing all dependencies via dnf/rpm repository. 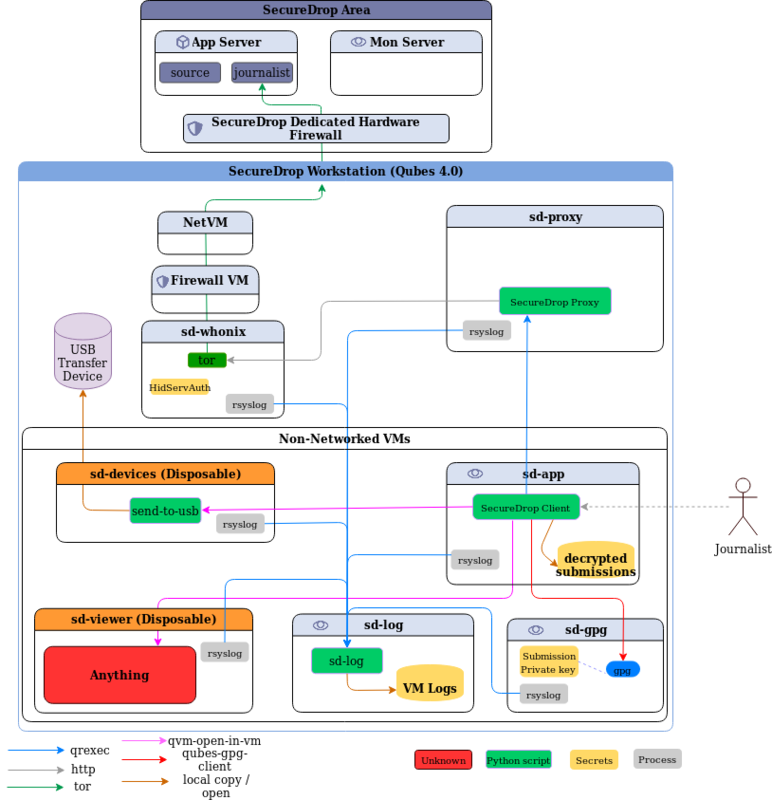 One of the biggest usecase will be to help to install latest application code and all the latest dependencies into a virtualenv and also package the whole virtualenv into the RPM package. This will be useful for any third part vendor/ISV, who would want to package their Python application for Fedora/RHEL/CentOS along with the dependencies. But, remember not to use this for any package inside of Fedora land as this does not follow the Fedora packaging guidelines. This is the very initial release, and it will get a lot of updates in the coming months. The project idea is also not new, Debian already has dh-virtualenv doing this for a long time. I will be building an rpm package, for now download the source code and the detached signature to verify it against my GPG key. Untar the directory, and then copy the macros.python-virtualenv file to the RPM macros directory in your system. Here is a minimal example. As you can see, in both %build and in %install, first we have to call %pyvenv_install, that will create our virtualenv. Then we are installing the latest pip in that environment. Then in the %build, we are calling %pyvenv_build to create the wheel. In the %install section, we are calling %pyvenv_install macro to install the project, this command will also install all the required dependencies (from the requirements.txt of the project) by downloading them from https://pypi.org. If you have any command/executable which gets installed in the virtualenv, you should create a symlink to that from $RPM_BUILD_ROOT/usr/bin/ directory in the %install section. Now, I have an example in the git repository, where I have taken the Ansible 2.7.1 spec file from Fedora, and converted it to these macros. I have build the package for Fedora 25 to verify that this works. I spent most of my life using Fedora as my primary operating system on my desktop/laptops. I use CentOS on my servers, sometimes even Fedora, and a few special cases, I use *BSD systems. But, for the last one year I am running Qubes OS as my primary operating system on my laptop. That enables me to still keep using Fedora in the AppVMs as I want, and I can also have different work VMs in Debian/Ubuntu or even Windows as required. Moving to a newer version of Fedora is just about installing the new template and rebooting any AppVM with the newest template. Fedora 29 will release on 30th October, and Qubes team already built a template for the same and pushed to the testing repository. You can install it by the following command. After this, I just installed all the required packages and setup the template as I want using my Qubes Ansible project. It took only a few minutes to move all of my development related VMs into Fedora 29 and this still keeps the option open to go back to Fedora 28 the moment I want. This is one of the beauty of Qubes OS and of course there are the regular security aspects too. If you are a software developer using Linux, and also care about security practices, give Qubes OS a try. It has also a very active and helpful user community. I am sure it will not disappoint you.